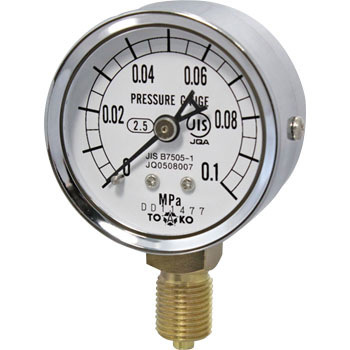 It is used for compressor tank pressure indication. At the tool shop in the neighborhood, 2 MPa display was not available, so it is saved by the monotalou. This review is about item#09491377. The pointer was bent and it did not match the 0 point. Since there was no choice, I removed the cover and made a correction. This review is about item#09491255.